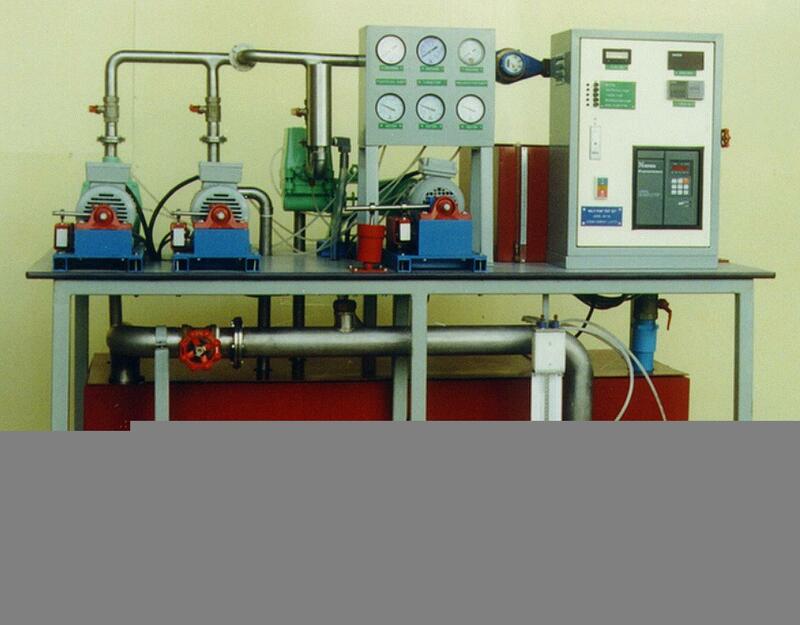 self-contained bench for measurement characteristics of various pumps. 4 different types of pumps; centrifugal, turbine, reciprocating and axial-flow. Each pump driven by direct coupling motor dynamometer with digital speed and torque sensors. Inverter to control pumps alternatively. Measuring tank, water meter, digital flow indicator, pressure gauges mercury manometer, dash pot for dynamometer arm, pulse chambers and pressure relief valve. Water storage tank, stainless steel piping, control cabinet, leak detector. Mobile table on wheels. 220V, 50Hz.